Antique vintage Victorian Gone with the wind duplex oil kerosene parlor lamp. 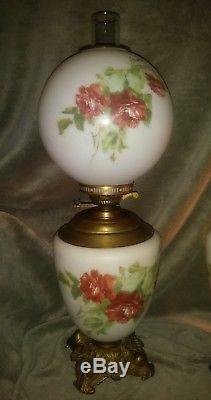 Hand painted roses on both milk glass shades and a beautiful brass base. In perfect condition for it's age. Perfect gift for the collector in your life. The item "30 Gone With The Wind GWTW ANTIQUE HAND PAINTED ROSES DUPLEX KEROSENE OIL Lamp" is in sale since Friday, December 14, 2018. 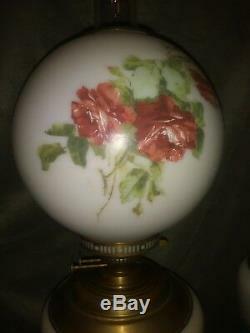 This item is in the category "Antiques\Decorative Arts\Lamps".jy8ho" and is located in Brush Prairie, Washington.